“It’s a struggle to keep a supply of food at home,” Marion Mitchell explains of why she picked up three bags of groceries from the Uptown Food Pantry earlier this month. 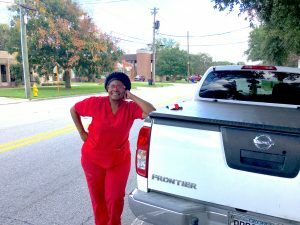 A personal-care nurse dressed in her red medical scrubs, Mitchell calls the food—frozen meat, cereal, fresh produce, bread, butter, eggs and more—”a blessing donated out of the goodness of people in Columbus’ hearts.” Having moved to town recently from her native Sumter County, Mitchell says her son is going through “some ordeals” and that she now takes care of his three children (ages 6, 9, and 11). Indeed, a landmark 2012-2017 study by the National Resources Defense Council entitled “Wasted” revealed that up to 40% of food in America goes uneaten. That gluttony equates to an average of 400 pounds of food per American wasted each year, totaling $218 billion lost and costing a family of four $1,800. According to Feeding America, 1 in 7 Americans—and 1 of 5 children—are considered “food insecure” as defined by the U.S. Dept. of Agriculture. 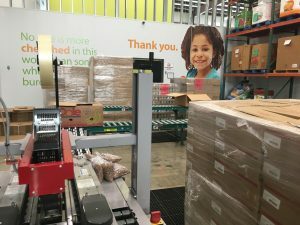 In Georgia, it’s closer to 1 in 4 children, placing the state fourth-from-bottom nationally for the amount of children facing food insecurity. A retired Lt. 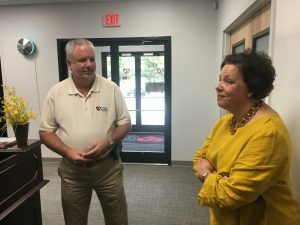 Commander in the U.S. Coast Guard and commercial realtor for W. C. Bradley Co., Driver buys and/or collects the food the Uptown Food Pantry hands out four times a week (Monday and Friday afternoons, twice on Wednesday). The program’s designed to accommodate 20 visitors each time, though Driver says it’s at his discretion whether they can handle more. Those in need may come once every 30 days, 10 times a year, and must arrive on time. During the holiday months of November and December, Driver works to ensure frozen hams and turkeys are packed in the white plastic Aldi bags handed to visitors as they walk (after a consultation and prayer) onto Second Avenue. In March 2017, Feeding the Valley opened its new home on Flat Rock Road after being located on Coca Cola Boulevard for 25 years. 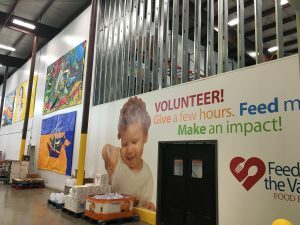 Through the years the organization has been known as the Inter-Faith Action Food Bank and Second Harvest since its founding. 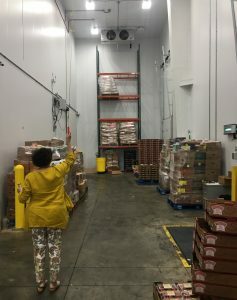 “It was 1983 when churches and community leaders came together because they felt there should be a central place for food for those in need,” Feeding the Valley Fund Development Administrator Carleen Frokjer says before a recent morning tour of the impressive 31,000 square foot facility. 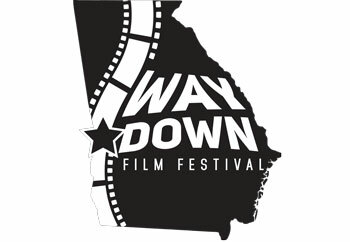 Crediting St. Thomas Episcopal Church and Vicky Partin, retired executive director of Chattahoochee Valley Episcopal Ministry, as key players in launching what would become (in 2008) Feeding the Valley, Frokjer says the agency now serves 14 counties: Troup, Meriwether, Harris, Talbot, Muscogee, Chattahoochee, Schley, Stewart, Webster, Quitman, Randolph, and Clay in Georgia and Russell in Alabama. This region is home to 437,000 people—87,000 of them considered food insecure, of which 35,000 are under age 18. The on-site Giving Garden produces a variety of tomatoes, peppers, cucumbers, squash and herbs to add to the 115 meals provided daily through the Senior Meal Program. 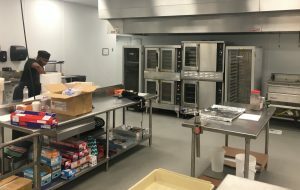 That’s one of several Feeding the Valley-led initiatives, including Kids Cafe, which distributes lunches prepared daily in the new spot’s 3,000 square foot commercial kitchen. Kids Cafe feeds 36,000 children lunches during the summer, and 1,700 daily during the school year with meals delivered to Columbus Parks & Recreation Dept.-sponsored and other (Open Door, Girls, Inc., etc.) after-school programs. Interested in helping the hungry in our region? 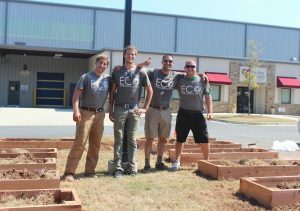 Learn more about volunteering with Feeding the Valley here.